We have helped over 2,000 people to learn how in practical, hands-on, unforgettable training." We believe "The Art Of Leadership" is about being concious of what serves us and the people we lead best. To bring this to our conciousness we need to receive honest, timely, direct feedback; without judgement. Horses are masters of this. To develop resilient, effective teams the members need to understand themselves and their impact/place in the team as well as noticing what is happening in the environment. This is the world of horse. They have achieved this for more than 60 million years. If your goal is to gain deep insights into all aspects of your Leadership, then our 121 experiences are for you. You will be taken out of your comfort zone to explore "what will take your leadership to the next level". We believe "The Art Of Leadership" is about being concious of what serves ourselves and the people we lead best. To bring this to our conciousness we need to receive honest, timely, direct feedback; without judgement. Horses are masters of this. They respond to what they are experiencing at any moment. They are not swayed by our "perceived" status or standing. This means the feedback will be totally "clean" and timely. Even the slightest shift in approach can make a huge difference to the horse and take us from ineffective leadership to effective and sustainable leadership strategies. Our clients tell us this is exactly the same for the people they lead. Able to lead in uncertain situations. 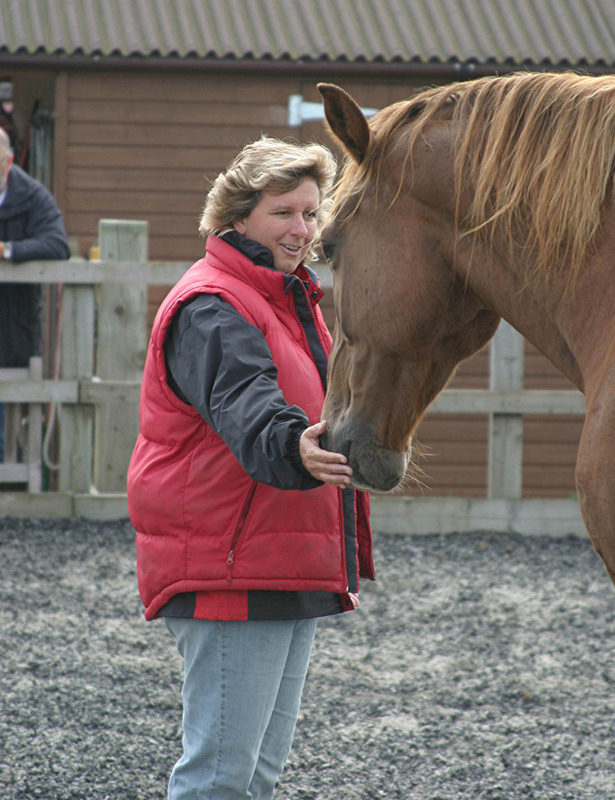 When teams work with the horses the default (invisible) patterns that get in the way of efficient operation show up and come into conciousness.The team members are then able to adjust and experiment with new strategies until they become effective. This experience then becomes the bedrock for new highly effective team relationships. Importance of clearly defined goals and challenges. Understand the importance of clear roles and responsibilities. Individuals exploring the "Art of Leadership"
Our 121 experience is designed for leaders who want to embrace leadership excellence and move beyond the norm. In our 121 programmes participants are able to really get deep into their default leadership style/patterns and understand the benefits and costs of these. Working with the horses they can then experiment; keep what works, do more of it and replace the ineffective elements with new powerful and effective strategies. This approach always results in a truly profound development experience.